Welcome! We are a family run business, with experience in the field. We offer fun, comfort and safety at affordable prices, in the best part of Miraflores. We have a vast experience in the hospitality sector as well as a great experience about the city, elements that we capitalize to bring the best possible experience to our guests and travellers. We are located one block away from the Malecón Cisneros, near a road to the beach, bike paths, and public transportation. Near to our facilities there are some of the most renowned landmarks of the city such as Faro la Marina, Parque el Faro and Playa Waikki, amongst other interesting spots in our city. 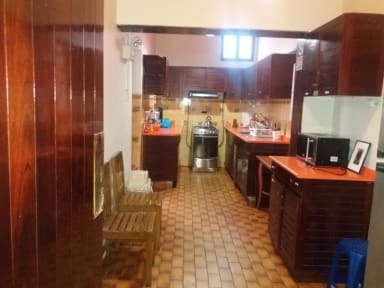 We have several types of accommodation options, both dorms for the most venturesome travellers as well as private accommodation options to those people seeking for tranquility and relax. In addition, we have several common areas where the guests and travellers can exchange past experiences and future plans. The taxes can be exonerated if the guest will stay in Peru for less than 60 days. To be exonerated from the taxes, the guests needs to present at the check in moment their passport and the TAM (Tarjeta Andina de Migraciones) Card. The place is perfect for a budget traveler! Well located , full filling breakfast, staff is extremely helpful, friendly and kind. In fact, one of the most friendly staff I ever encountered during my world travels :) I'm grateful for my stay there! Wonderful stay, very helpful and friendly staff. Highly recommend. Not the place if you are looking to party or be in the hustle bustle of the city but a great place for a first night in town and trying to catch up on sleep after traveling. Staff was super friendly, placed is clean, since it's new the were few people staying there, breakfast was good, and the office ras right for this new hostel. WiFi was non existent in the room but fine outside of the room. For my first experience in Peru, I enjoyed it and would recommend it to people wanting a mellow night. I came to Miraflores, a place in Lima I'm not a fan of because of so many tourists. But this place made me stay so much longer. I don't have the words to describe how amazing I've been treated here. The staff are so friendly, it's a very calm part of Miraflores but close to all popular areas (Parque de Amor/Parque Kennedy) the free breakfast Is sufficient and if I were to ever return to Lima 100% I would be returning to this place. Great hostel, the guy who welcomed me was really nice, the place was clean and quiet, and the breakfast was good and well served. The only bad thing was the bed which moves when the other person below moves. hostel is under construction. will be amazing when it is finished. really cool house with nice outdoor areas. great staff, nice area in miraflores. Good value, nothing special, okay for a few nights. Very new hostel. Helpful staff. Nice breakfast. Very quiet, which was just what I needed but I wouldn't say it's ideal for meeting lots of people. 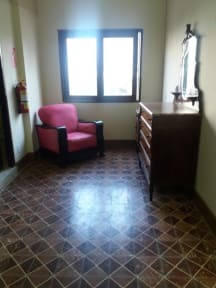 Good location too, near to lots of attractions in miraflores.